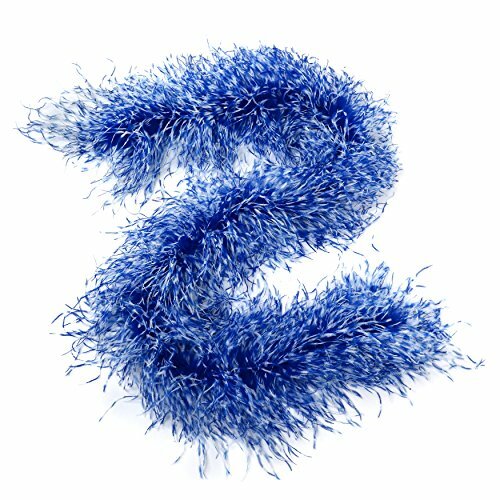 Six ply stenciled ostrich feather boas are 2 yards (6 ft.) long and approx. 10" in diameter. The center of this boa is made with soft turkey marabou feathers and six layers of stenciled ostrich wing feathers sewn into it. The stenciled ostrich feathers sewn into the boa is a unique dyeing process that originated in Paris that makes the feathers appear striped with two colors to give it a unique look. Ostrich boas can be cut without unraveling as feathers are sewn on to a cotton cord. If you have any questions about this product by Zucker Feather Products, contact us by completing and submitting the form below. If you are looking for a specif part number, please include it with your message.